My friend's cellphone (Blackberry Aurora) has this problem. is there a way to fix it without do a factory reset? I have been experiencing the same in a few weeks back. Then, I do uninstall some applications and reboot the device. 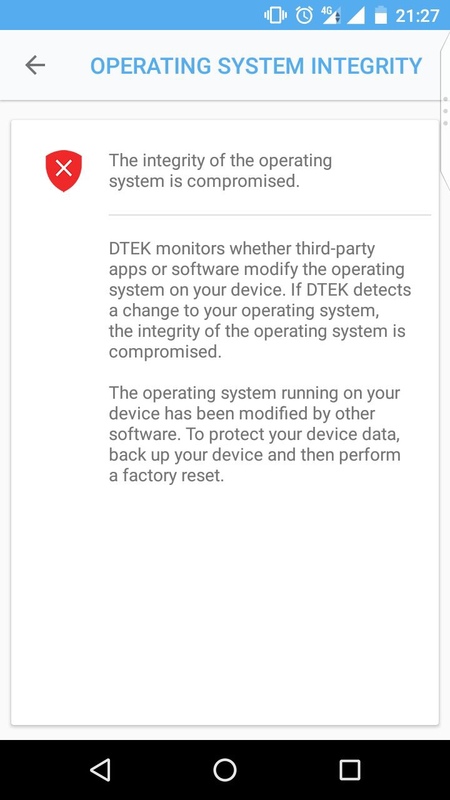 After that, I checked the DTEK and didn't see this status anymore till today. If that doesn't sort the issue out please update to the next version after 1.1.10.518. If it is fixed or not, please let me know! Egonzalez1978 and daveyw_nz like this. I also experience this notification. Did you know that kaspersky has a theft protection system for mobile phones android !